Below is an overview of a typical design process. Please note that you can employ any individual service you like. If you have any questions, please drop me a line. 1. Contact: An initial call centres around gaining an understanding of your needs and how I can cater for them. Allow 20 minutes. 2. Initial site visit: This will take between one to three hours and will involve an informal discussion and an exploration of the site. 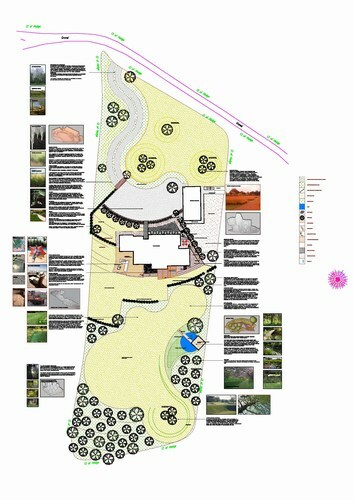 A questionnaire can be forwarded to you prior to the visit to help you make more of the design experience. 3. 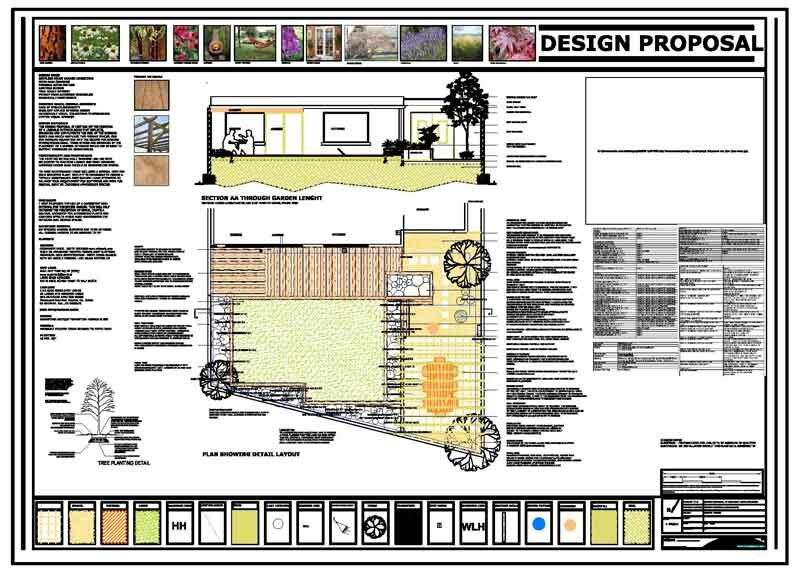 Visit review: I will prepare a summary and design brief for you to review prior to commencing work on a design. This ensure that we’re all on the same page in terms of what’s required. Learn more about how to prepare your own design brief. 4. Design preparation. Designs are prepared in a variety of formats (CAD, freehand and so on) and are made available in both paper and PDF format. Allow one to two weeks. 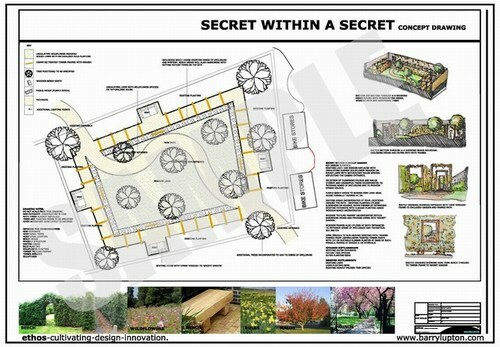 See below for a couple of examples of garden plans. 5. Presentation and review: Presentation typically takes from one to two hours. I usually ask clients to take a week or two to review the design to ensure it works for them. During this period, clients often come back with questions. 6. Pricing: A project price can be agreed right from the start or on the basis of the agreed design. More often than not I will agree a general price range from the start. 7. 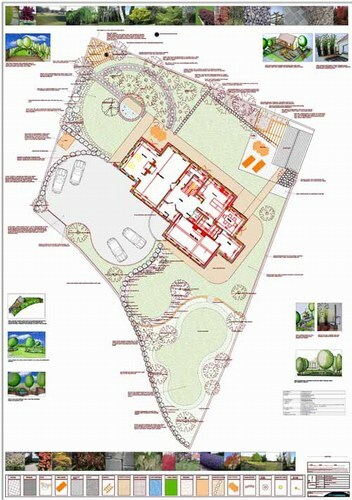 Construction: When a price and time scale has been agreed, the contractors will begin on site. I have a set structure for how this proceeds. When the garden has been cleared it will then be marked out on the ground. 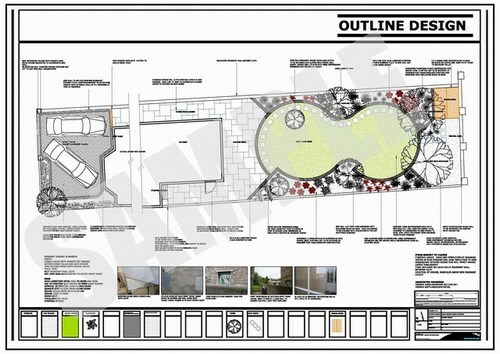 I ask clients to review the plan once again and to make any final amendments to the structure at this point. My garden sites are always kept extremely tidy and all work is carried out to the highest professional standard. Clients do not pay the total construction until they are completely happy with the work. 8. Follow up: My team always stand over their work. If ever there is a concern we deal with it immediately. I usually encourage new garden owners to make an appointment for a 1 year review to check on how the garden is performing. I also encourage clients, particularly those that do not like to garden, to make an arrangement with the contractor for them to service the garden at least twice a year. My promise to you: I love what I do and so do my clients. I never leave any customer unsatisfied and I promise you’ll be more than happy with the service you receive. Interested in self building? See an example garden here.